In 2008, the American economy was in extremely rough shape. While this would prove beneficial for parts of the American Eagle program overall, there were segments of the American Eagle coin series that would suffer as a result of the economic impact of the Great Recession. 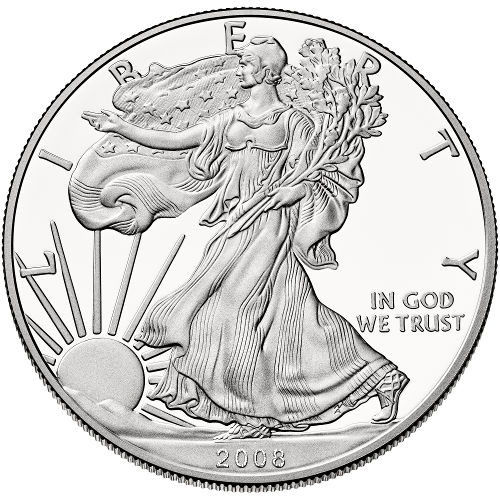 Today, 2008 Proof Silver American Eagle coins are available on Silver.com. There were 700,979 Proof Silver American Eagles minted in 2008! 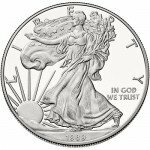 23rd annual Proof Silver American Eagle release. Ships to you in a commemorative box, complete with a Certificate of Authenticity. At the end of 2007, the American economy suffered a devastating setback as a number of factors combined to send the markets tumbling into what became known as the Great Recession. The housing bubble burst, demand for new homes sank, and those who had purchased homes in recent years with shady Adjustable Rate Mortgages suffered. The result was a massive shift toward precious metals by millions of investors. Bullion Silver American Eagle coins saw unprecedented mintage levels in 2008, with mintage skyrocketing to a then-record 20.5 million coins, crushing the previous records of 11.4 million (1987), 10.5 million (2002), and 10.6 million (2006). Proof Silver American Eagles didn’t do as well as the bullion coins, but production remained high at 700,000 coins. However, this marked a significant drop of 121,000 coins from the previous year. Burnished coins also experienced a drop in demand in 2008, but there were worse times to come for both versions. 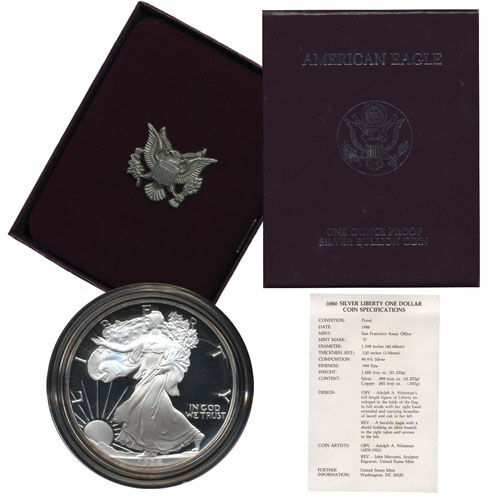 Neither the Proof Silver American Eagle nor its burnished counterpart were offered by the United States Mint in 2009 as it sought to cope with immense demand for bullion coins and uncertain futures during the depths of the Great Recession. On the obverse side the US Mint continues the use of Adolph A. Weinman’s Walking Liberty design. Created in 1916, it was used on the Walking Liberty Half Dollar until it was discontinued and replaced in 1947. 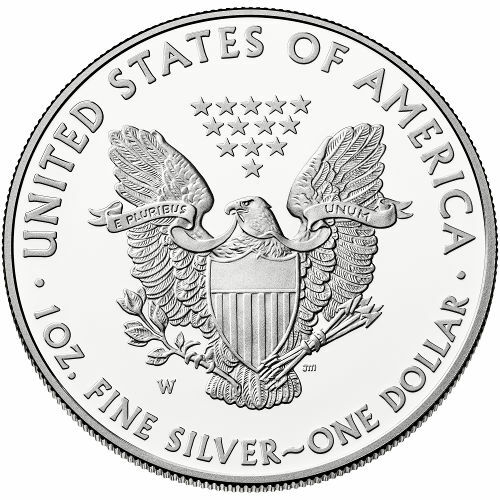 John Mercanti, then-Chief Engraver of the United States Mint, refined and modernized the historic heraldic eagle image for use on the Silver Eagle in 1986. If you have questions, Silver.com associates are here to help. Our team members are available on the phone at 888-989-7223, online using our live web chat feature, or via our email address.